THIS EVENT IS NOW SOLD OUT*!! Big thanks to everyone who has bought their tickets - I'm really looking forward to the next two weeks!! I am excited to present, Rainbow Phil’s Easter Special “Gruffalo: The Musical” - which will take place over the two week Easter break in St Anne's Park - The Red Stables! 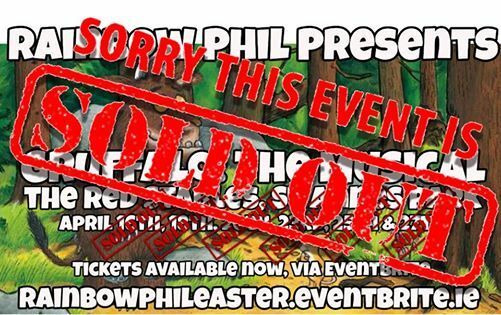 What can I expect from Rainbow Phil’s Easter Special? Things will kick off with a few of the usual songs to get everyone warmed up and ready for the main event, which will be a half sung half spoken performance of The Gruffalo story using various puppets and props, followed by a rendition of the Gruffalo Song. We’ll round things off with bubbles, parachute and, of course, the Hokey Cokey!! 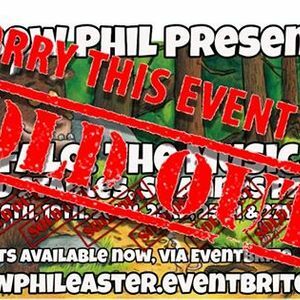 As with previous Rainbow Phil events you only need tickets for the children. There is no charge for adults, but please bear in mind that space in the room is limited and the show is meant for the kids! Any questions or comments, just pop them in the discussion section of this event page and I’ll get back to you.